Since I invest a lot of time and money into buying and appreciating vinyl, every now and again I’m going to post a small update on things I’ve recently bought. I’m a massive supporter of independent music shops and definitely encourage people supporting their local scene (See my post on record shopping in Manchester here). So here’s the last five records I picked up. 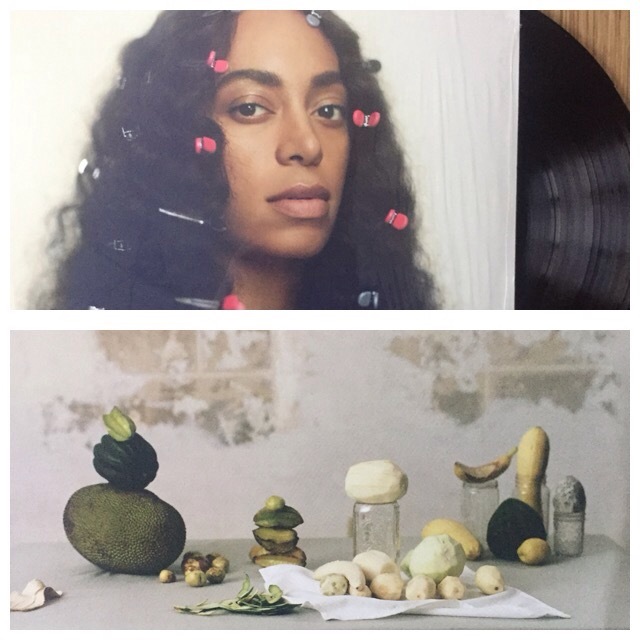 Beginning with Solange’s critically acclaimed 2016 effort ‘A Seat At The Table’. This is a gorgeous double LP on pure black vinyl. The disks are housed within lyric bound sleeves and a gorgeous photo covering the full side of one of the sleeves (pictured above). The records themselves feel very sturdy and have a decent weight to them which is great. This was one of my favourite albums of last year and I’m glad that I’ve finally grabbed a physical copy. I picked this record up online due to none of my regular record stores having any copies. If you’re into soul influenced and political RnB then this album from the lesser know Knowles’ sister will be right up your street. Secondly this is The Antlers – ‘Live In London’ gatefold double LP. The Antlers are a really great indie rock band who’s album ‘Hospice’ is what brought my attention to the band (definitely worthy of a listen). This is surprisingly the first live album that I’ve bought on vinyl! I didn’t intentionally seek out this record but I saw it for sale in Fopp for five pound which for a double gatefold album is insanely cheap. Again on solid black vinyl a particular highlight is the dreamy rendition of ‘Hospice’ closer ‘Epilogue’. 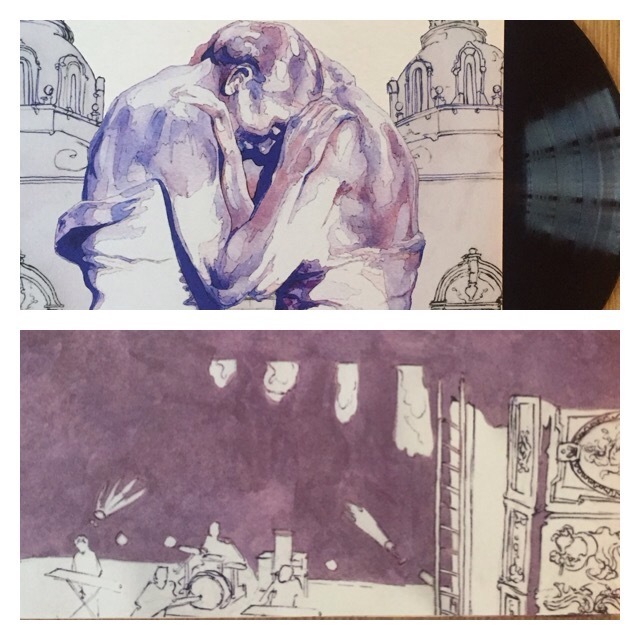 In the actual gatefold itself is a creative drawing of the venue which The Antlers played when this record was recorded. Next is Sampha’s debut full length album ‘Process’. I wrote a review to this album here. Although this album is still very new (released only earlier this month) it’s certainly not to be ruled out as an early album of the year contender. It’s that good. 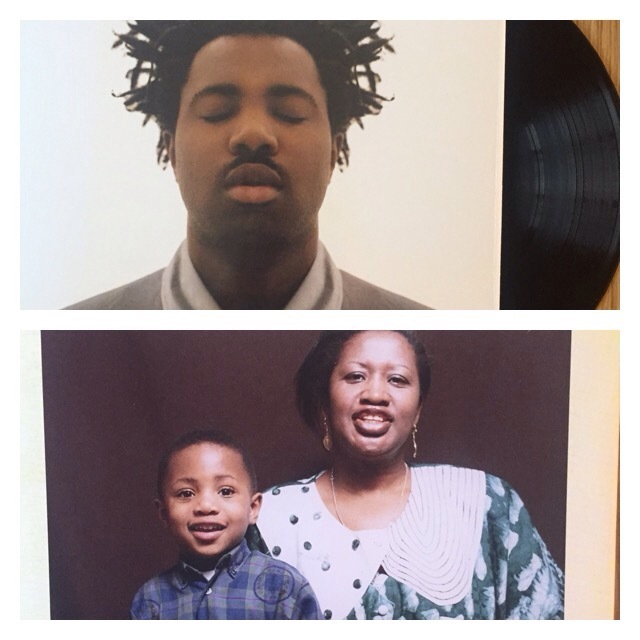 On solid black vinyl the disk is housed in a sleeve with one side lyrics and credits, and the other a picture of Sampha as a child next to his late mother who this album is largely about. I picked this up from Piccadilly Records in the centre of Manchester for the very reasonable price of £15.99. This LP also came with a CD copy which is great for having on in the car or to pass on if you don’t play CD’s and want to put someone on to a great release. Well well, what can I say about this album. 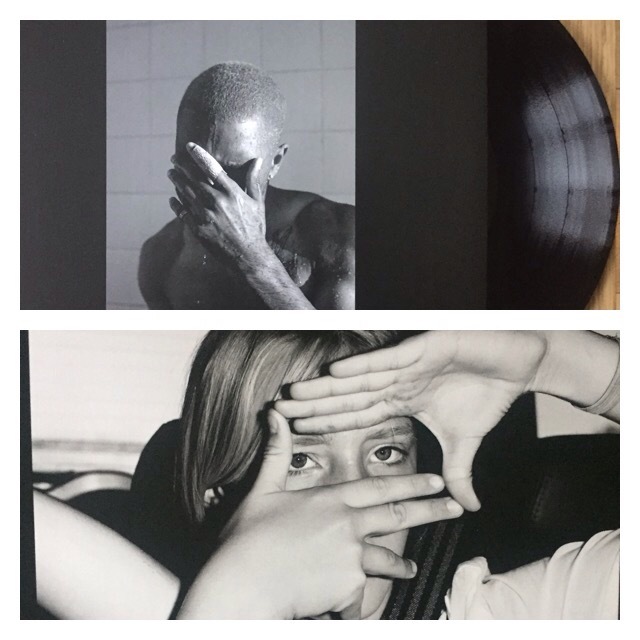 With already reselling for prices no less than £150, I’m proud to say that I own a copy of Frank Ocean’s Blond(e) on wax. Available to purchase for only 24 hours on last years Black Friday I HAD to have a physical version of this album. In a stunning minimalistic gatefold sleeve, the artwork gets the black and white treatment. Again on solid black vinyl this has become one of the gems in my collection. On the right hand half of the gatefold you’ll find the picture above but that’s the extent of the artwork (I told you it was minimalistic). I shelled out around £50 for this record including international shipping. But seeing how much people are paying for these now, I don’t think I would struggle to make my money back. Finally is NxWorries’ 2016 effort ‘Yes Lawd!’. 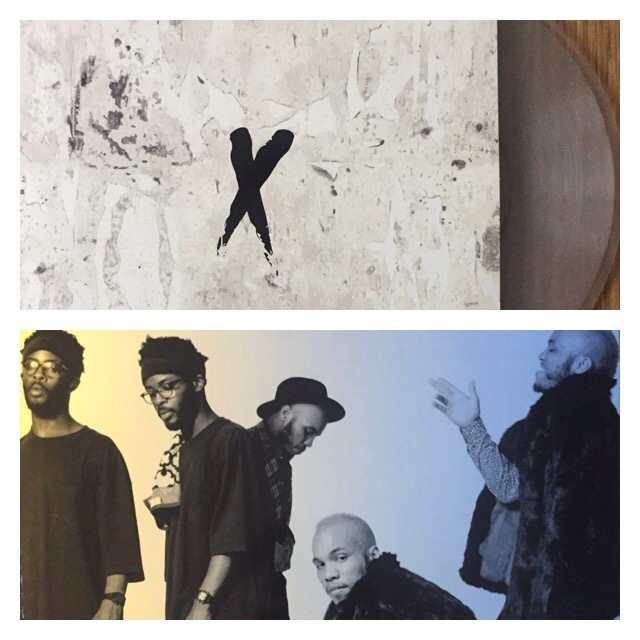 NxWorries is made up of vocalist and multi-instrumentalist Anderson Paak and profound producer, Knxwledge. This is the Rough Trade exclusive clear vinyl pressing limited to only 300. This is a double LP and the gatefold features pictures of both musicians responsible for the album. It took me a little while to warm to this record but now that it’s hit home, it’s become one of my favourite modern hip hop albums. The soul influences are insane on this album, with Paak literally name dropping Marvin Gaye and Bloodstone in one of the album highlights, Suede. I picked this up from Discogs online for around £30, which for a sold out limited record, still sealed, is more than reasonable. This will be a frequent feature on the blog and I’ll update every time I pick up another five records or so. If you haven’t heard an album on this list, check it out, you might just find your new favourite artist.